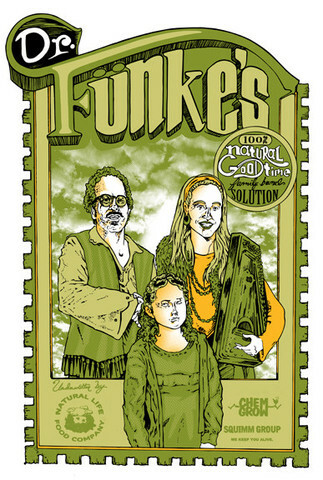 "Dr. Funke's 100% Good-Time Family Band Solution" kwa Charles Moran. From this summer's 1988 Arrested Development art gallery. Wallpaper and background images in the Arrested Development club tagged: arrested development art gallery tobias lindsay maeby. This Arrested Development fan art contains anime, comic kitabu, manga, cartoon, and mkono.